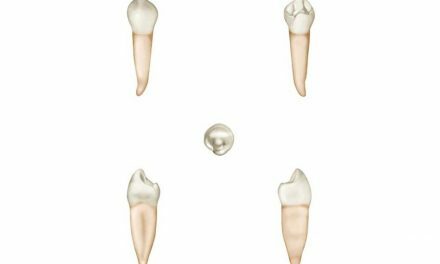 A tooth is a white mineralized organ implanted in the jaw, where the visible part emerges from the bone. Teeth allow the chewing of food, which is the first stage of digestion. By supporting the lips and the cheeks, they play a role in the aesthetics of the face and in the pronunciation of sounds. 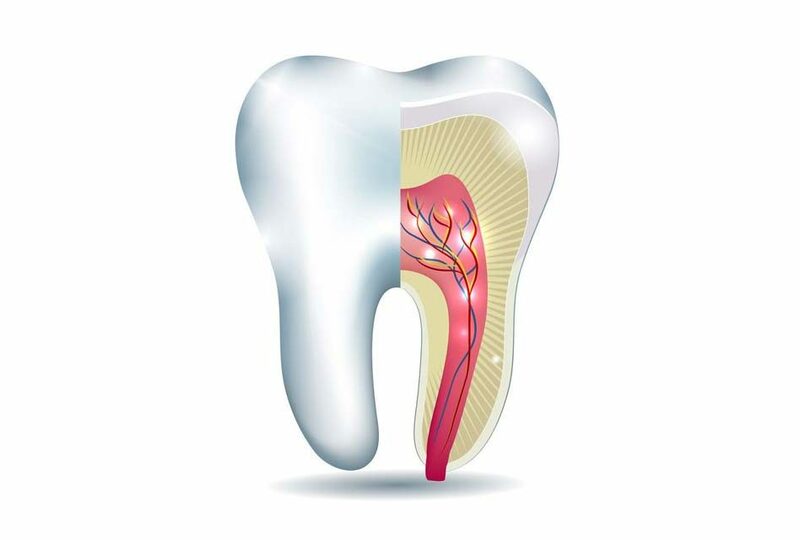 A tooth is a living tissue, supplied by the nerves and blood vessels. 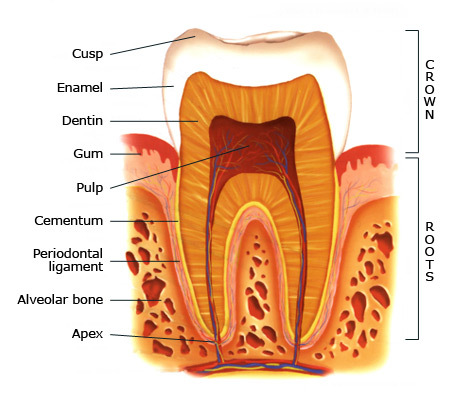 The visible area of the tooth, called the crown, is covered with enamel, which is the hardest substance in the body. 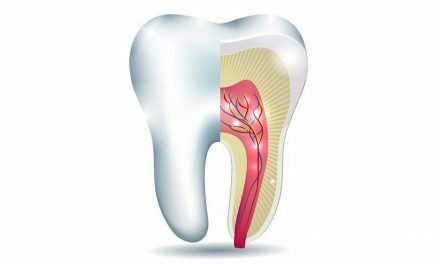 Nerves and blood vessels reach the center of the tooth through the apex and form the dental pulp, which is contained in the dentin, a sensitive calcified tissue less hard than the enamel. Each tooth has one or more roots, implanted into the jawbone, and surrounded by cementum, which is linked with the alveolar bone through the periodontal ligament. Humans develop two sets of teeth: primary teeth (deciduous, milk or baby teeth) and permanent teeth (adult teeth). The 20 deciduous teeth appear between the age of 6 months and the age of 30 months. The eruption of permanent teeth, 32 in total, is more sprawling. It starts from the age 6 years and ends at 12 years. 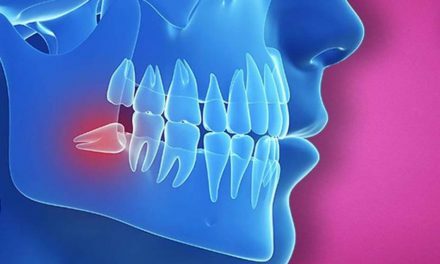 The last four molars, the so-called wisdom teeth, may either remain impacted, or appear in early adulthood.